Special set of sixteen textures. 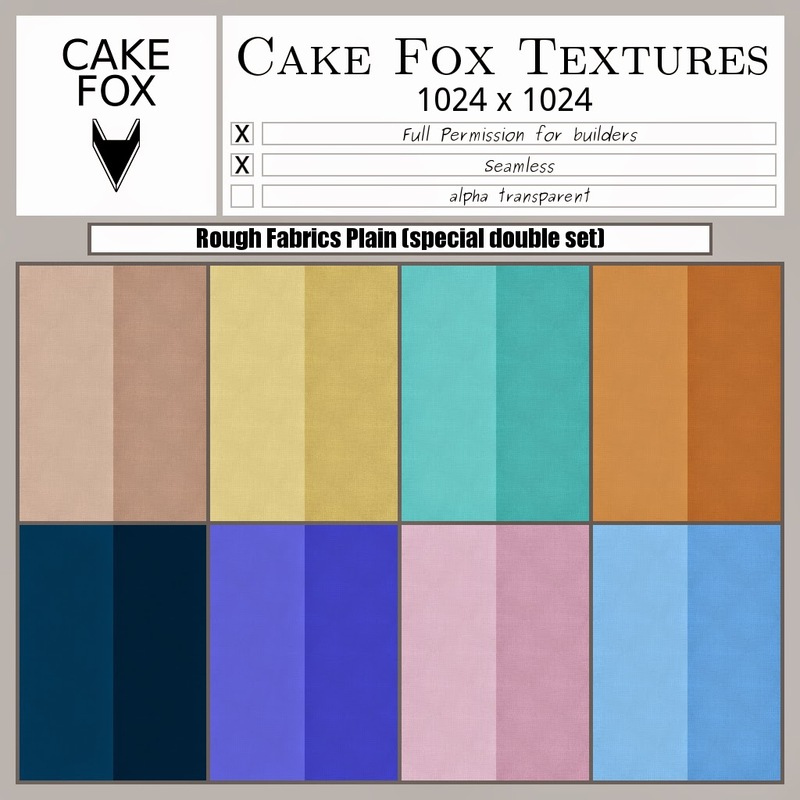 Cake Fox Textures Rough Fabrics Plain. Up for SWAG this weekend for 50L$. Get it at the Cake Fox SWAG location.